At the age of 4 years, most kids begin their school-going days’ journey. Your little girl will be no exemption either, she could be at playschool or stays at home, but she’s a very busy little lady. Aside from walking, talking and making friends, you must have noticed your girl can manage to do a lot more on her own. She will dress, enjoy organizing her own play and choose her own chores. Toys play a huge role in shaping the personality and character of your child. It is through play that your girl develops physically, mentally and becomes more creative through imagination. To give her support that will help her fine and gross motor skills to develop, we’ve reviewed 30 top best toys and gift ideas for girls. The toys we’ve listed here are educative, fun and safe. Why we like it: The colorful pop up foldable tent enhances both creativity and imagination. The play tent is a great way to have fun and adventure for both outdoor and indoor activity. 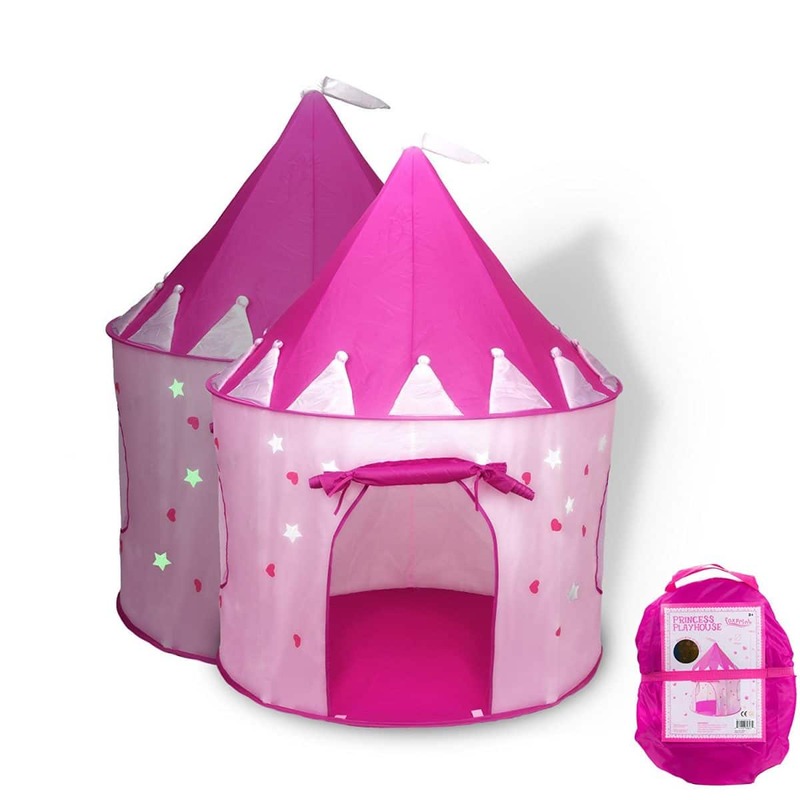 This Princess Castle Play Tent is perfect for a 2-8-year-old girl. Your little girl will enjoy the new secret hiding place with colorfully decorated hearts and glow-in-the-dark-stars. The play tent features sturdy shock-corded fiberglass poles for quick and easy assembly. The foldable toy house features a fold-down door and a peep-through window for hiding and piping, a great way to have fun and adventure. This cute little tent is both lightweight and portable and features a compact carry zipper bag for easy storage. The play tent also features a kid-friendly design that’s easy to clean with a damp cloth and soap best home away from home for your little girl. Why we like it: The Spelly straw set is innovatively designed to offer a fun learning experience. It’s also made from food-grade BPA free plastic that’s dishwasher safe. Teach your 4-year old girl new words and how to spell with Spelly straws a great way to have fun and learn. 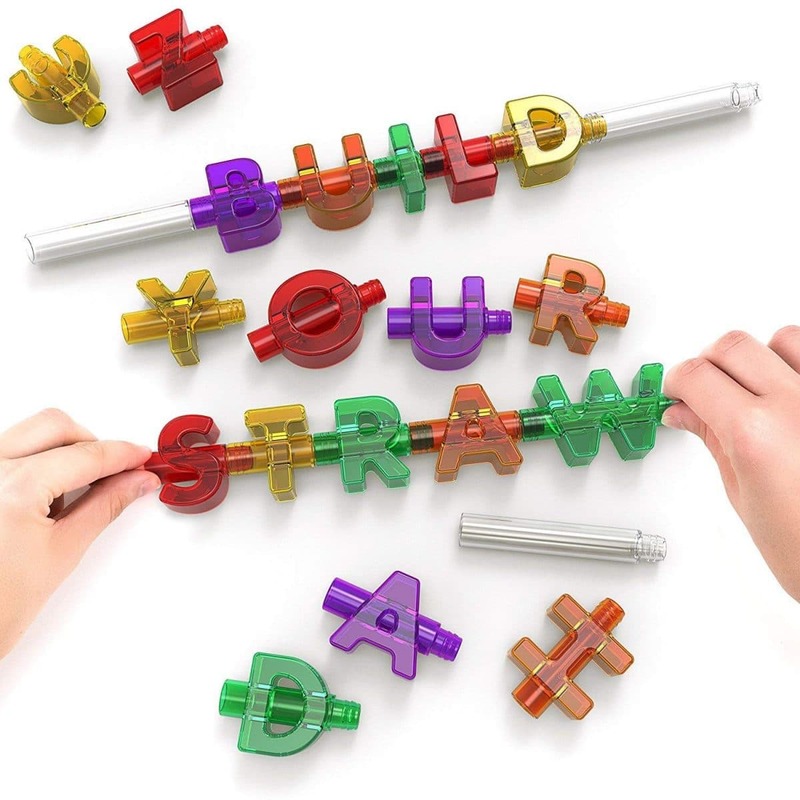 The spell straws feature buildable 44 interchangeable letters and 4 bases that can create up to 300,000 words making it the best gift or party favor for your little girl, toddlers, and teenagers. The fun colored straws feature safe BPA free plastic that is very sturdy and easy to clean in a dishwasher. The set comes in assorted colors that can be used for drinking smoothies and thick drinks that offers excitement, fun, and personalized cocktail and birthday parties. Why we like it: The dollhouse is an innovate product that inspires open-ended thinking that helps your child build confidence and character. The product offers a fun way to play with brothers, sisters, and friends. The dollhouse is a perfect gift suitable for your 4-year old girl, preschoolers, and families with multiple children. This small model house features 15 pieces of furniture, a garage and a working elevator that ignites the imagination and wonder in your girl. The fresh gender-neutral colors of this toy make it an excellent option for both boys and girls. The exterior features a natural-wood frame and exiting décor that’s both appealing and modern for today’s kid. The play set is also easy to share with multiple children from the front, side or top for unlimited pretend play. The game features a wooden toy car and four poseable dolls. Why we like it: Watch your little girl’s balance improve with this product. The Flybar is also designed to help your child’s hands, arms and feet coordinate smoothly – a vital developmental skill. 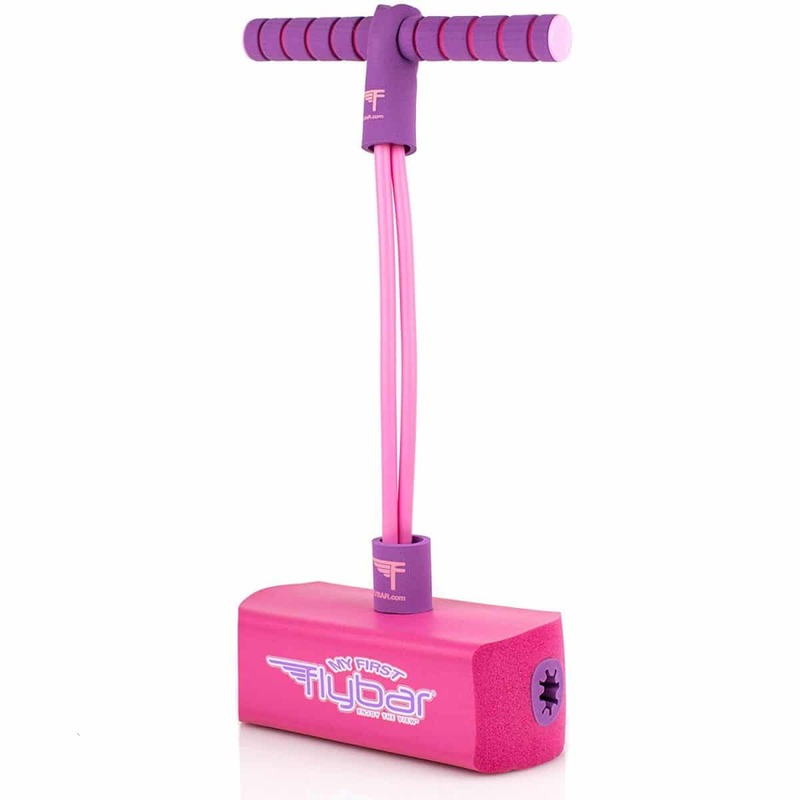 The Flybar is just the perfect gift that you can purchase for your little girl that will keep her busy hopping all-day long. The high-quality foam is sturdy, safe and durable and can hold up to 250lbs keeping her healthy and active – a great way to exercise. The pogo jumper features a permanent foam base, a stretchy “spring” and a soft, comfortable foam grip handle that helps develop your child’s hand-eye coordination, balance, and strength. The product is best for both outdoor and indoor use and has an inbuilt squeaker sound that helps to make the number of hops. Perfect for both kids and adults. Why we like it: The smartwatch stimulates learning that helps your little girl improve time consciousness and capture important life moments that matter most to your developing child. 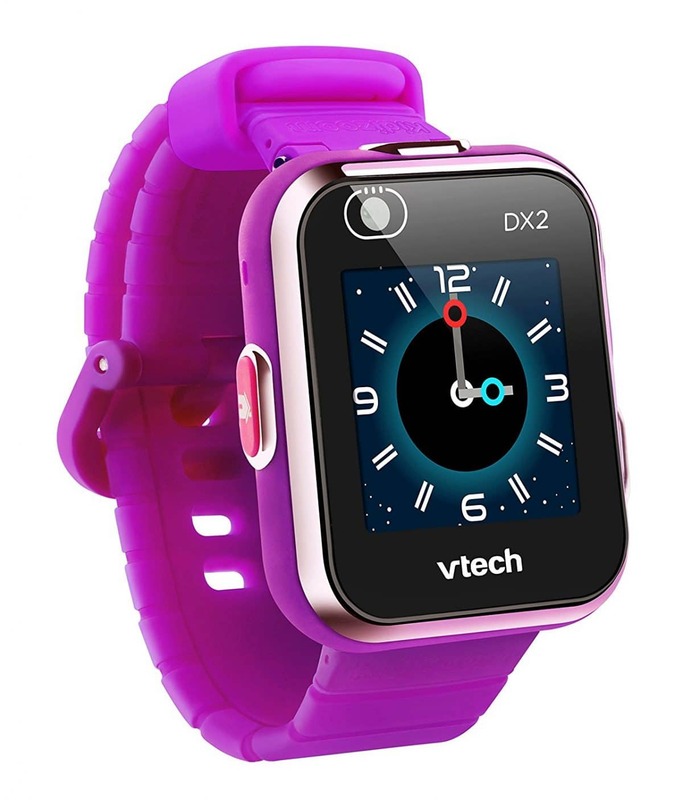 Help your little girl to process information and make sense of their world with Vtech Kidizoom smartwatch a suitable gift for your 4-12 year girl. 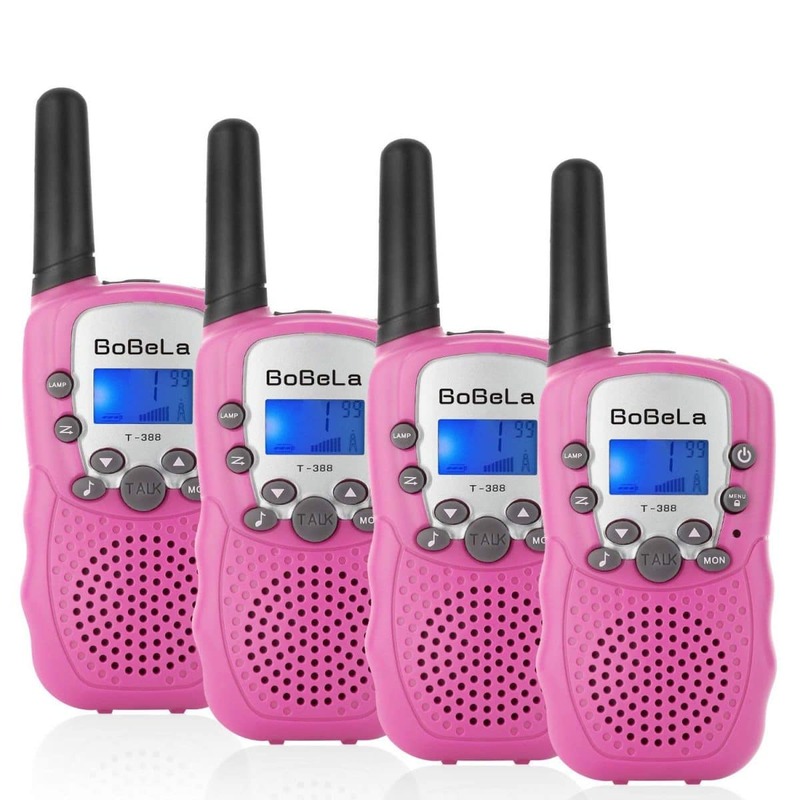 The product features a customizable 55 digital and analog clock faces that will help your girl to tell time. The two inbuilt cameras will allow your child to take videos and selfies while the micro USB cable helps to upload them. The monster detector inbuilt game with a motion sensor fosters ongoing play challenges for a boosted reality gaming experience. 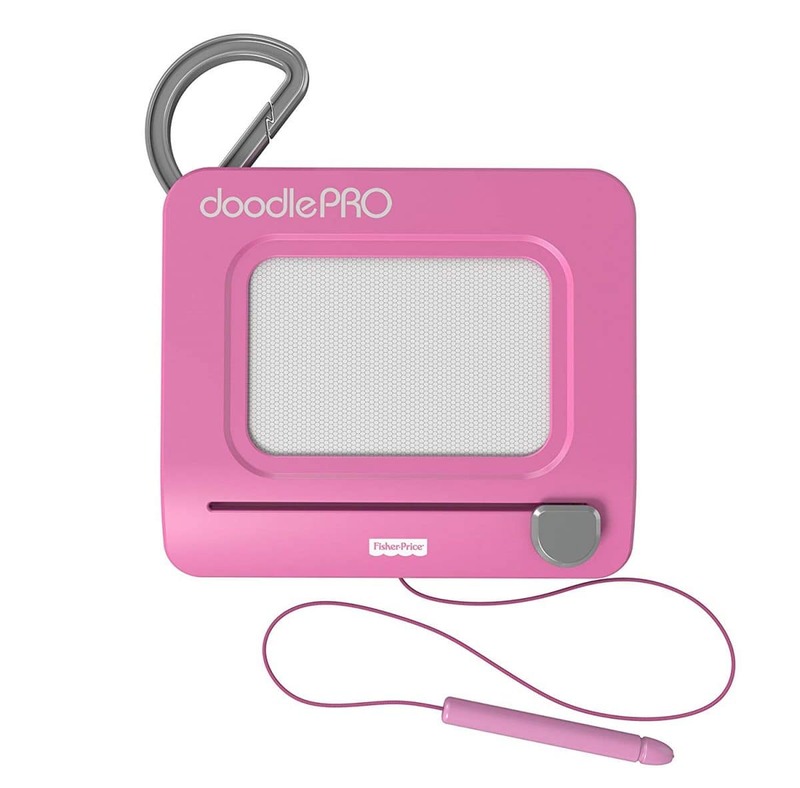 Why we like it: The doodle pro clip provides fun and entertainment to your young one. 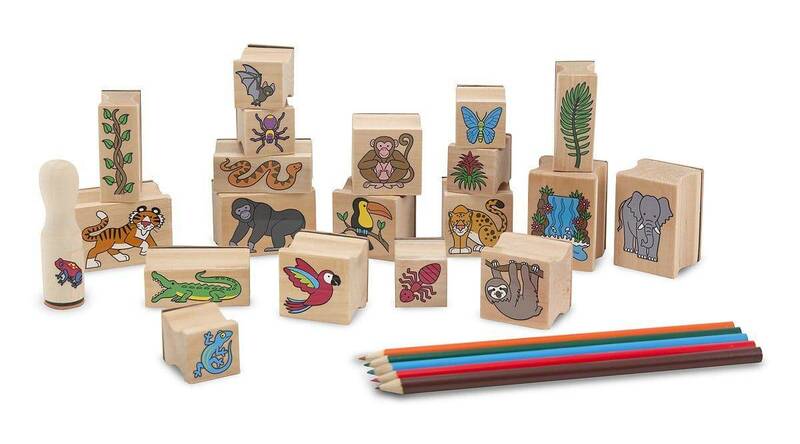 The product will also help your child to build significant cognitive and academic skills. This will help your 4-year old girl develop future reading and writing skills. The doodle pro features a magnetic screen saver pen that will make sure it’s not lost. The sleek and slim clip sized right for on-the-go with an easy-slide eraser that magically clears the screen and helps keep your little girl drawing over and over again. Your little one can attach this product on her backpack and continue learning wherever she goes. Why we like it: Works out muscles for children above 3 years and those with autism with no special skills needed to operate it. Teeter popper will help to build-up you little girl’s core strength, stability, leg strength, balance, coordination and gross-motor skills. This unique instrument for play features a sturdy plastic body that can hold up to 110lbs and durable silicone suction cups that provide hours of gaming. 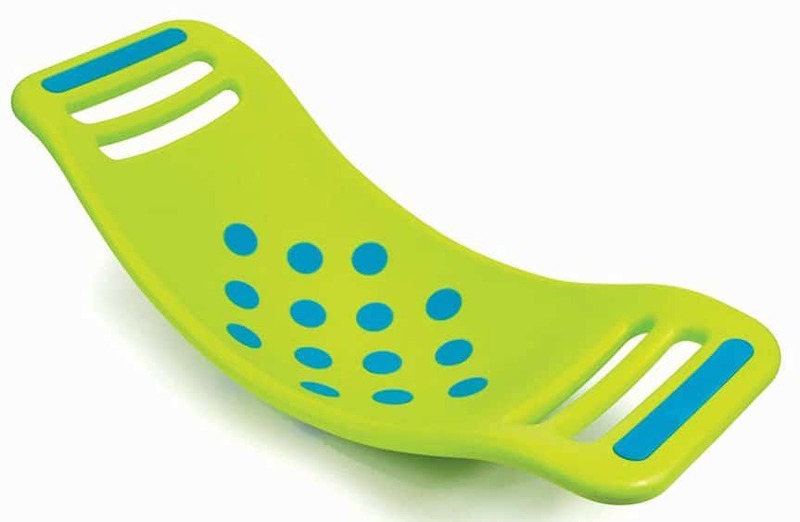 The handles that are on each end of this product give stability for a secure and active play of your child. Your little girl can choose to sit on it, rock it, roll it, spin it or stand on it and have lots of fun. Why we like it: The sack doubles as a cushion and storage bag for your little one’s toys. It helps keep your home more organized. 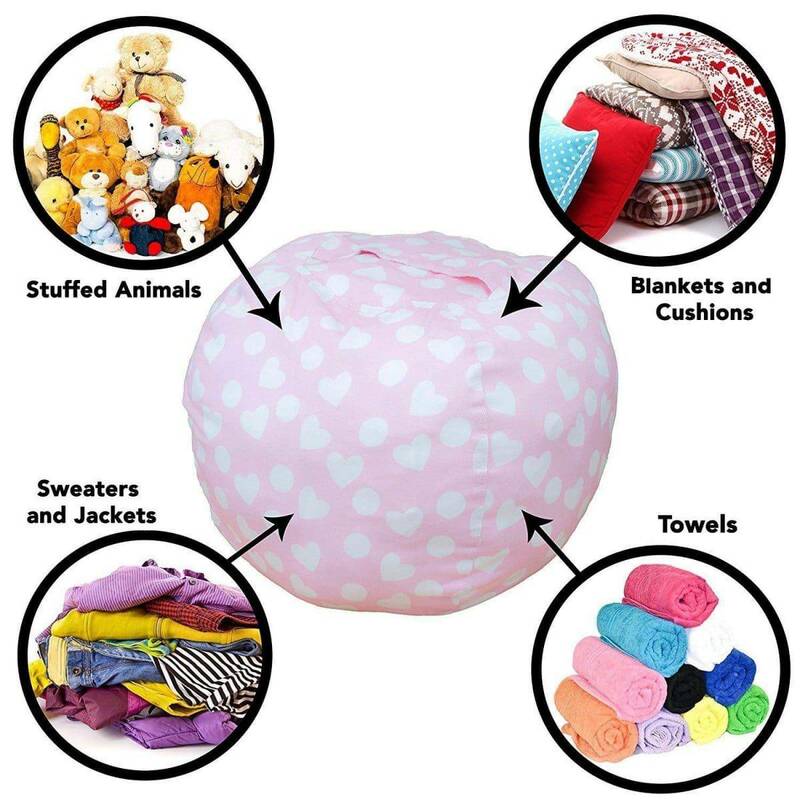 The Beanbag chair is a great way to keep your child’s toys in a more organized manner. The long zipper on the bag allows her to retrieve a favorite toy quickly and easily store away. The bag features kid-friendly cotton canvas fabric offering a perfect solution for all stuffed animals, towels, pillows and old blankets. The storage bag has double-stitched seams that can hold up to 50 small toys, sheets and pillows for strength even for most robust play. The cotton fabric is printed with a pink or blue background with white clouds and can be used as a chair when fully stuffed. Why we like it: Uses open-ended materials that have an abundant capacity to help your child develop problem-solving skills, constructive recreation and the ability to connect through inquisitive play. Enhances constructive play and provides an early learning environment for your little girl. 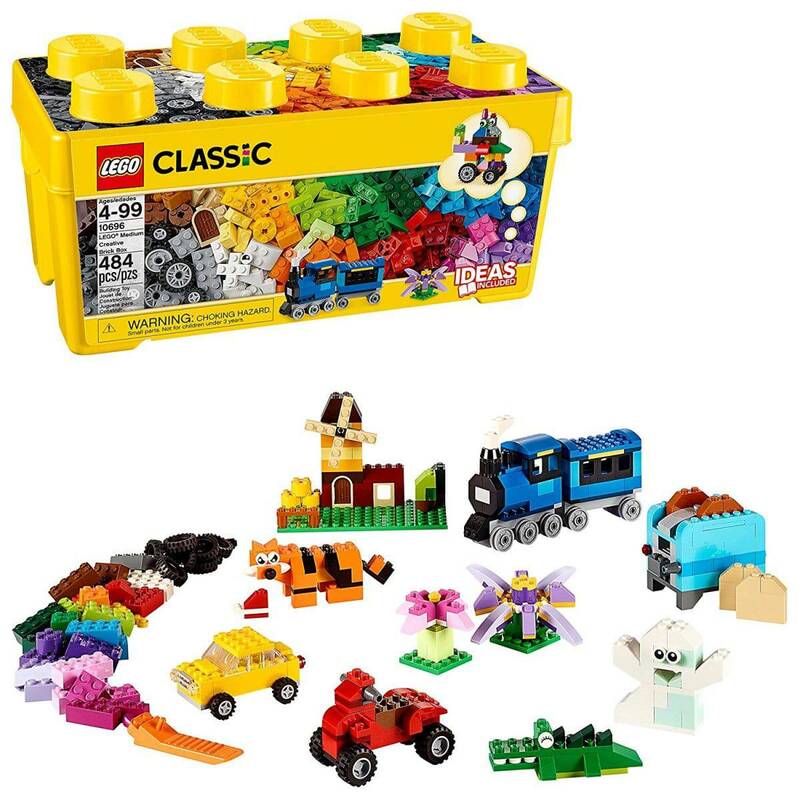 The brick box contains 484 pieces with 35 different colors suitable for girls and boys aged 4 years and above. The collection of bricks include 18 tires, wheels, rims, windows, eyes and more that will help her in a constructive building. The construction set features a wide range of constructions with model pictures of a blue train, a tiger, flowers, and a windmill with a green baseplate and window frame. Why we like it: It’s an excellent exercising toy that helps to keep your child active both indoors and outdoors. This skipping rope is suitable for little jumpers of age 5 and above. The 7 Ft rope is adjustable helps you to adjust the size to fit the height of your child. The product is lightweight designed for a young sports enthusiast suitable for indoor and outdoor use that helps to improve the overall health of your little one. Aside from improving the physical health of your girl, this product helps to improve concentration levels. The jump rope is a safe playing non-toxic toy that features 100% recycled and 100% cotton materials – safe for her and environmental friendly. The product is packed in a box for easy storage and can also be carried in a backpack or school bag. Why we like it: Innovatively designed to foster your child’s thinking by through object manipulation. It also helps to explore her sense of coordination and improve the concepts of symmetry, sequence and perfects organizational skills. Suitable for kids aged 3 years and above. The set features 60 wooden pieces, 10 glass marbles, and a builders manual that the little hands explore the basic principles of art, engineering, and architecture. 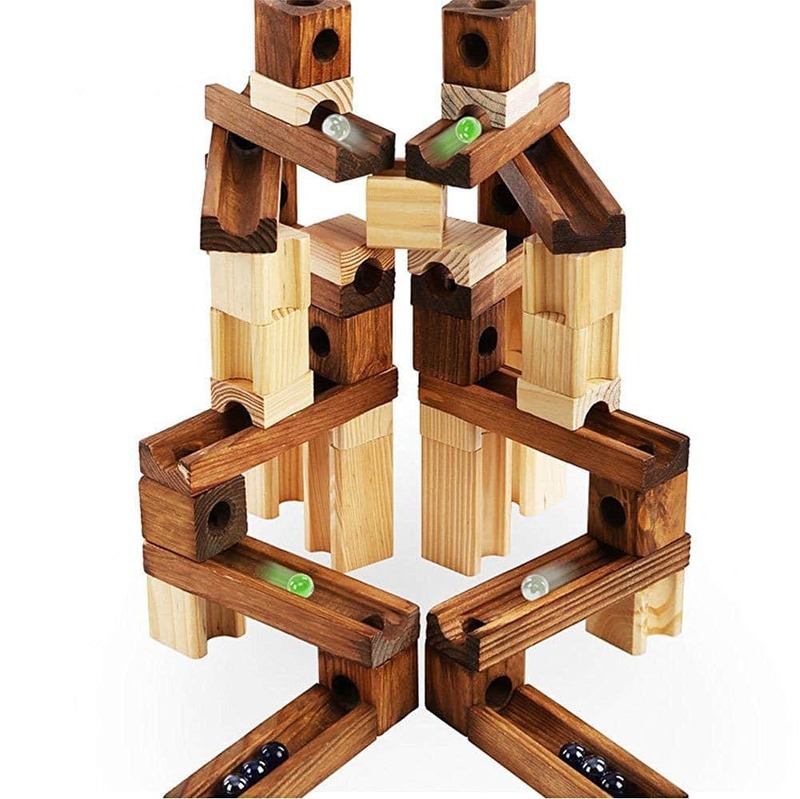 The product features polished New Zealand pine wood and marbles that move through the slanted maze with holes and channels creating excitement and adventure to your little one. Why we like it: Perfect gift for your child that will give her vast experience of the life cycle of a butterfly. 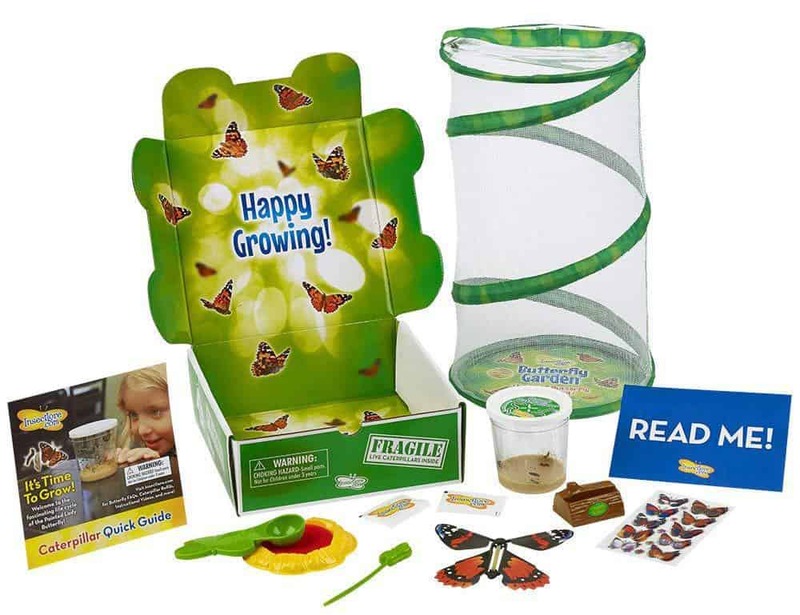 Watching a butterfly cycle up close is a fun way that your little girl will learn with the butterfly-raising kit. The set has a cup that can hold 5 live caterpillars. This creates a beautiful environment that will help her raise butterflies and release them in your backyard in just three weeks. The gorgeous flower-shaped butterfly feeder will provide an opportunity to for your little one to feed the caterpillars with nutritious food as she waits for a magical transformation. When the caterpillars grow into chrysalides, you can move them to the airy-mesh environment that’s best hanged for perfect butterfly viewing. The box consists of colorful 3D butterfly stickers and wind-up. Why we like it: Provides open-ended play. The set will help her to be more creative and imaginative for old-fashioned fun. The wooden construction toy is suitable for your 3-year-old and above girl. 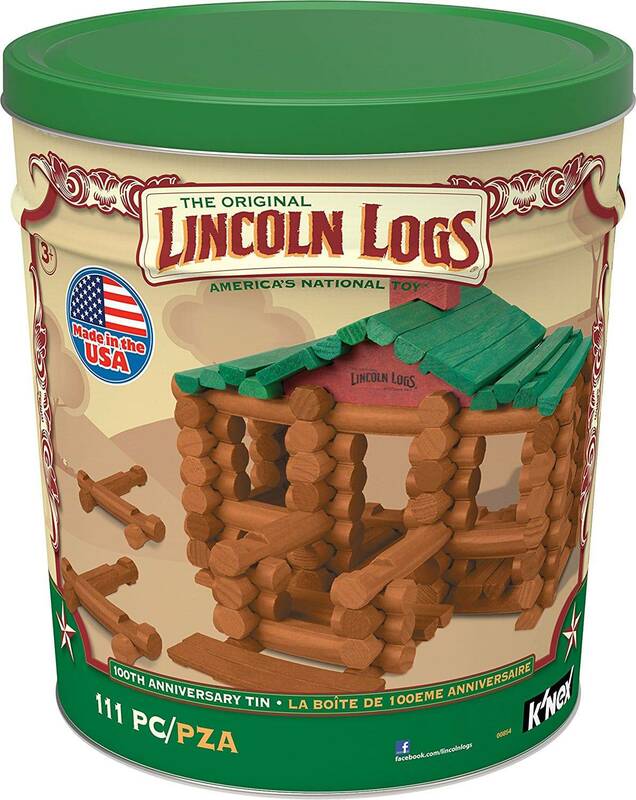 The set features identically-sized blocks made of pine in the ratio of 1:3:15 perfect for making various creations. The 100 blocks set in 8 different colors are held in place by gravity and balance and don’t need any glue, screw or clips to fix allowing easy assembly. The product is simple to use and becomes complex with experience and helps your child to build, create and experiment by exploring her imagination. The blocks are laser cut from hardwood pine for aesthetic appeal and functionality. Why we like it: A quiet toy that provides plenty of indoor and outdoor exercise. It also harnesses hand-eye coordination, balance and motor skills. This toy will help her develop motor skills while having fun around the house and other hard flat surfaces suitable for 3 years and up. 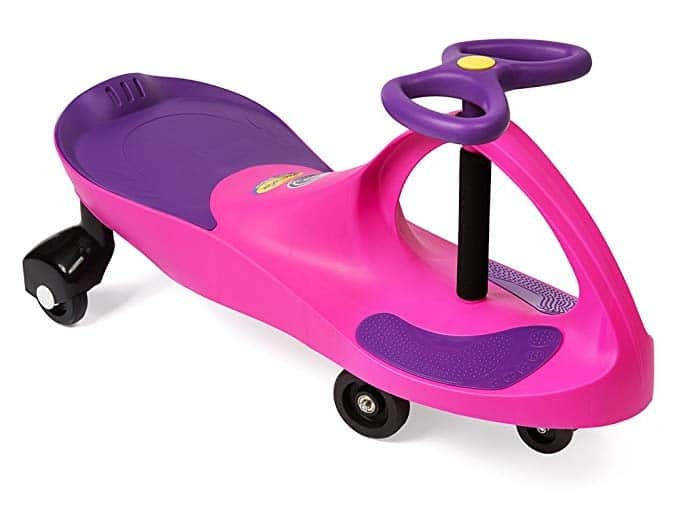 Your little girl will merely push off the Plasmacar with their feet to propel it forward an excellent way to exercise and learn to drive. The toy is simple to assemble, requires no batteries or motors to operate and is easy to assemble providing hand-eye coordination, balance and motor skills while keeping the little lady occupied. The product features a patented safety seat that can support up to 220 pounds. Why we like it: Let your child learn and have fun with Zingo’s image and word recognition. The set also allows her to pay more concentration and improve language skills. Creates a perfect environment for your preschooler to develop language and other critical skills such as reading in a fast-paced, exciting game. The set features 78 printed images with words, one zinger, seven double-sized Zingo cards, and two levels of play for entertaining pre-reading toy suitable for 4-year-olds and above. 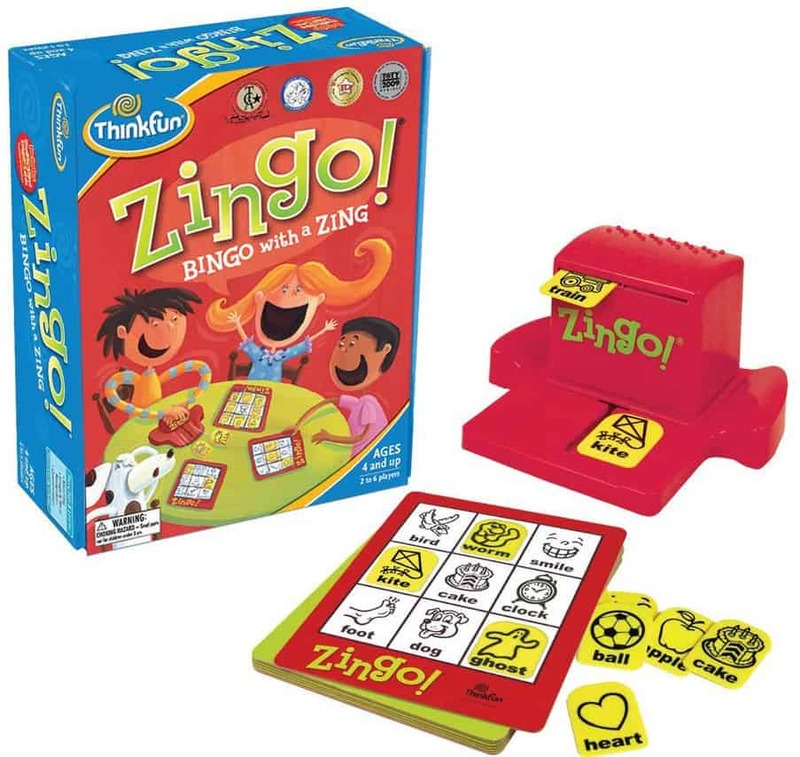 Zingo features high-quality components with clear and easy to understand instructions and a parent’s guide that will enable your little one to open the box and play immediately for improved critical thinking skills. Why we like it: No more falling and injuries for your young cyclist. The Balance bike helps her to learn to ride safely over the trail, grass or pavement. It’s at this age that your little one wants to take charge of her own unsupervised play. The balance bike with no pedal provides a secure and efficient way to help her transition to pedal bikes. The product features puncture-resistant EVA foam tires and PP wheel to enhance stability for a smooth ride. The height-adjustable seat allows her feet to reach the ground while the anti-carbon rust material offers durability and overall strength of the bike allowing it to hold 110.2 lbs. 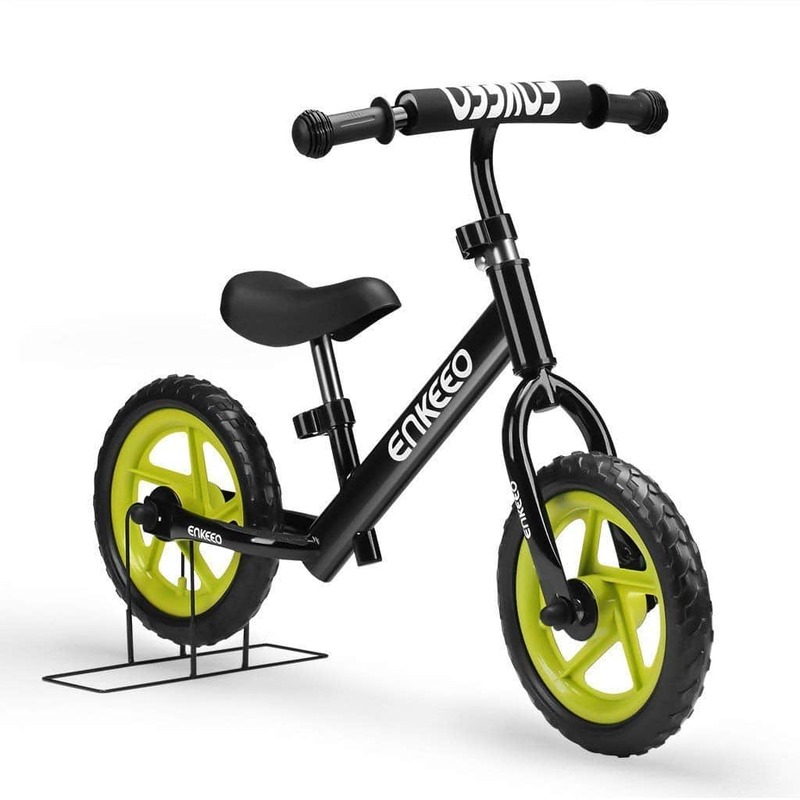 The adjustable soft handlebars allow a firm grip suitable for 2 to 6-year-olds under 3.6 feet. This product is lightweight making it easy to carry a perfect exercise training gift for your little one. Why we like it: This educational toy helps your child to develop cognitive skills and enhances their creativity inspiring the young mind to be creative and imaginative. 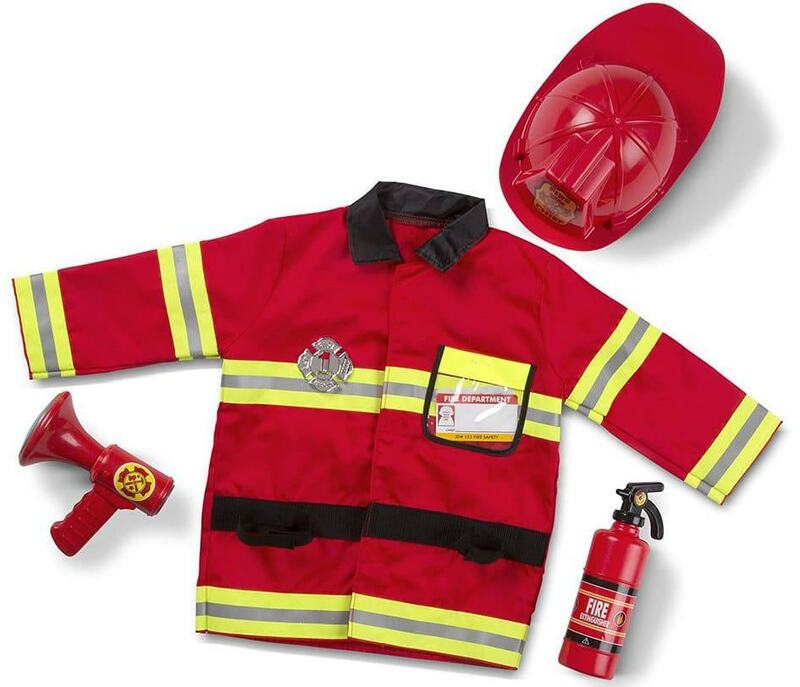 Why we like it: The fire chief role play costume set inspires your little one’s imagination helping them to know how to interact with the community. Why we like it: The playing cards are carefully designed with non-readers in mind. The product helps your little girl use their creativity while developing their imagination. If you’re planning a party for your little princesses, the candy land classic set will make a perfect gift that allows room for 2-4 players. 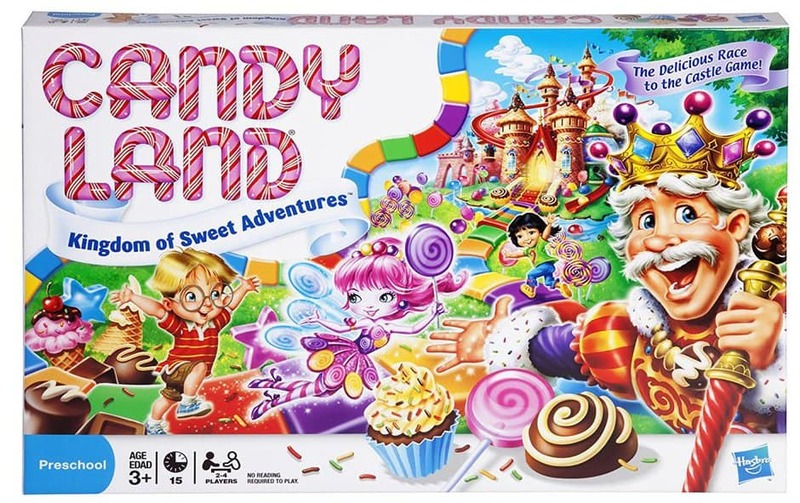 The board game features 4 movers and 44 cards that’ll guide the child along the rainbow path to places of adventure such as the peppermint forest, the chunky chocolate mountains, Licorice lagoon and more. The colorful road is full of surprises with a fun illustration that helps the child through the adventurous journey suitable for children aged between 36 months to 6 years. The enticing sugarcoated images with occasional pitfalls and molasses swamp creates an imaginary magical road that will offer her a great venture to the castle. Why we like it: a Great educational tool that is also interactive and creative. 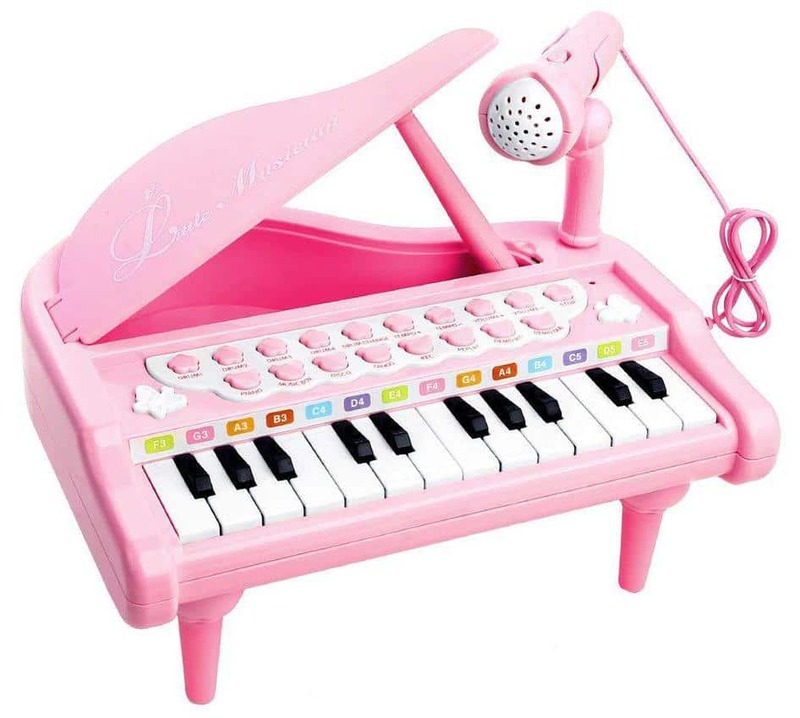 It helps develop excellent motor skills, hand-eye coordination and makes a favorite choice gift for your little princess. Your little girl loves mummy’s jewelry kit, and now she has the perfect opportunity to own one. 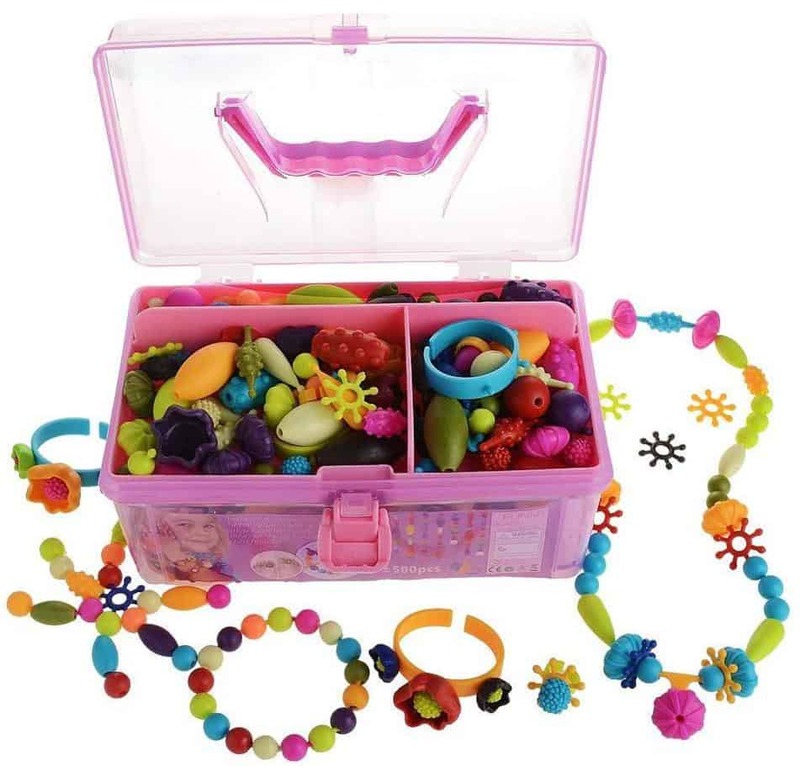 This snap-lock fashion kit features 500 pieces beads in 12 different colors, 15 exclusive shapes, sizes and designs and a pink storage box suitable for kids aged 4 to 8 years. There’s no need for strings as this product features an easy snap-design that sparks creative play to help her make tons of necklaces, bracelets, rings and more. The high-quality set develops your little one’s excellent motor skills, eye-hand coordination, creativity, and imagination an excellent educational toy. The product comes with a portable easy-to-use container for mobility. Why we like it: Replaces traditional chalk and crayons which are toxic and harmful to your child’s health. The portability of the product helps her keep learning everywhere. Help your child train hand-eye coordination and develop creativity with this erasable sketch board suitable for children aged 18 months and above. The magnetic board features an attached stylus that eliminates the traditional chalks and crayons that can be harmful to your child’s health. 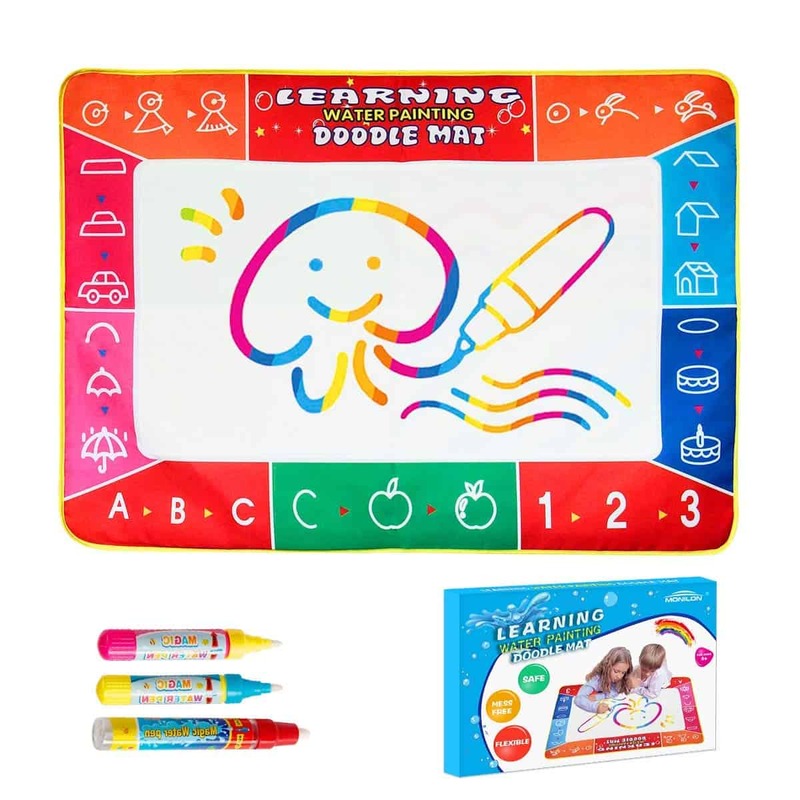 The no-dust design board helps her learn new colors, numbers, and letters an excellent tool for keeping your child busy in restaurants or the doctor’s office. The slide knot eraser helps to clear notes and images in a single swap offering huge savings on drawing supplies. The board features high-quality, non-toxic ABS materials and is also lightweight for easy portability. Why we like it: An engaging toy for girls that sparks imagination and creativity that is both enriching and inspirational. 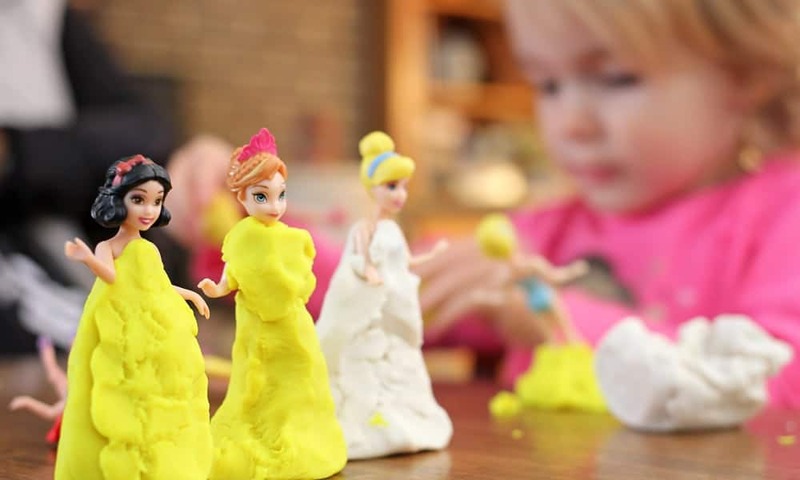 Watch your 4- year old girl become a little designer, builder, and storyteller with Build and Imagine Creativity castle. The magnetic game is specifically designed for little girls to keep them engaged and inspired. What sets this toy apart from other magnetic building toys are the pictures and illustrations that spark imaginations and storytelling experiences. The set connects magnetically and is not just limited to one design as she’s able to construct what suits her with dress-up characters that keep her engaged for hours. 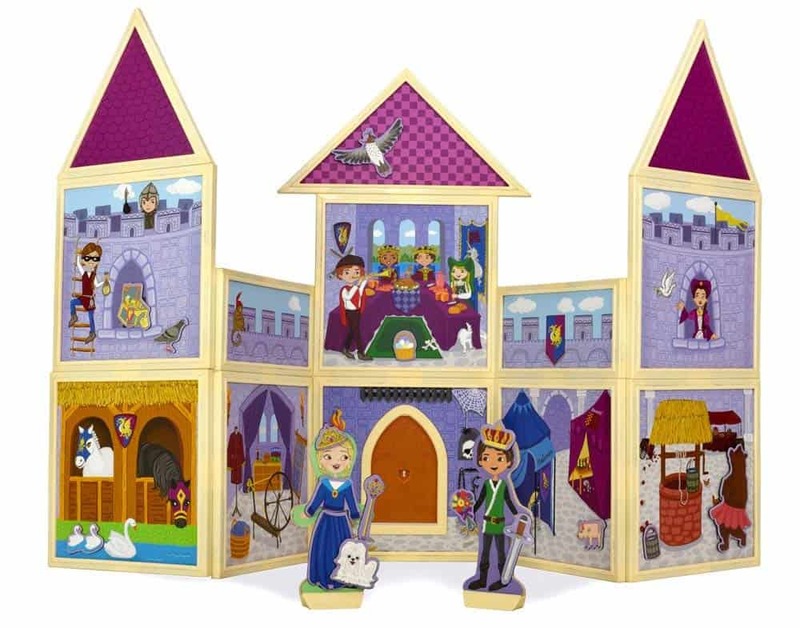 The set features 79 pieces with 14 illustrated magnetic building panels, sixty-three magnetic accessories and two dress-up dolls. All these pieces are easily broken down for storage and travel. Why we like it: Children love water and what a great way to help her play in the water more imaginatively. The toy is available in various colors and decorations. It’s at this age that your little one enjoys playing with water. 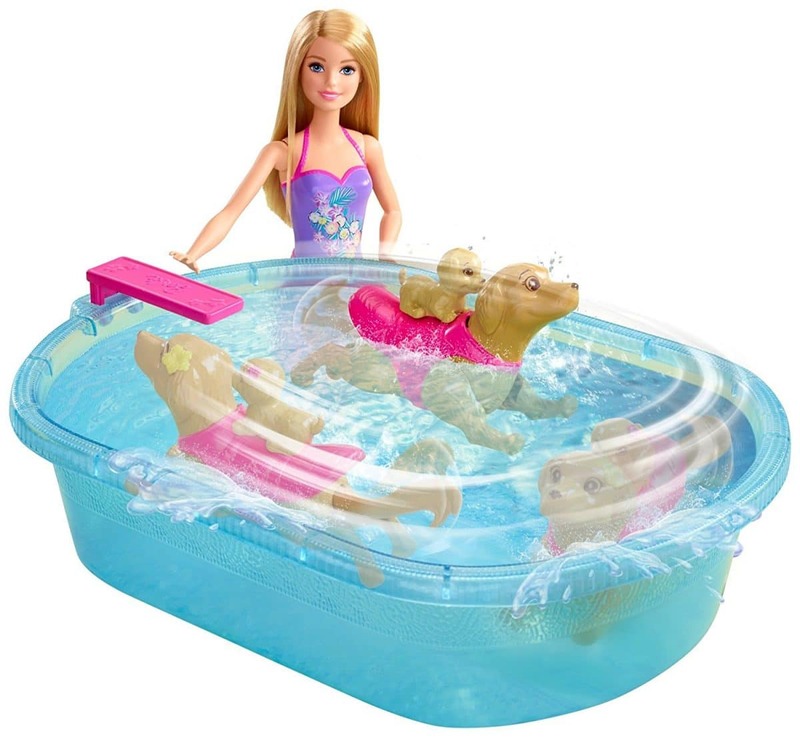 The Barbie play pool set will set her imagination on the island of adventure with Barbie doll, mummy dog and her puppy as they cool down in a fun swimming lesson. The set features a color-change swimsuit for Barbie, a translucent-blue pool and two pets that are dressed in their island best. The pool set is easy for your child to use. They’ll need to fill in water in the pool, then place the mommy dog in the pool, wind the tail and push the button on her back and see her swim on her own. Your little one will love it when she dives right in the swimming adventure with Barbie. Why we like it: It’s a complete art and craft activity that stimulates imagination and storytelling capability. This is a themed stamp set with everything that your little daughter needs to create and color in-depth picture scenes suitable for girls aged 4 to 10 years. The set features twenty stamps, five colored pencils, two durable color stamp pads (blue and green washable ink) and a wooden storage platter. As she begins to work with colored pencils to create an exciting imaginary storyline, the monkeys, snakes, birds, and bugs galore will spark her imagination in a color-in scene jungle. Why we like it: It features a STEM-inspired learning guide and analytical abilities that will help her to improve focus and memory and encourage them to eat healthier. 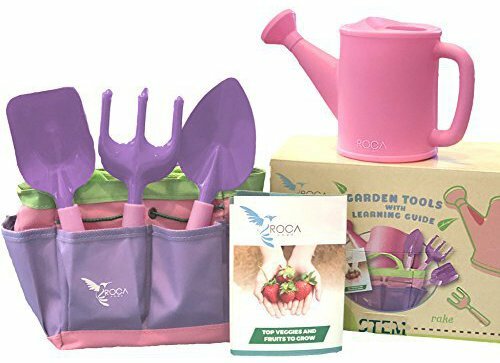 Help the little mind discover the world of gardening with pink gardening tools for kids. This set is perfectly sized for little hands that she can use for growing a home garden or building sand castles in the beach. This interactive toy is a brilliant toolset for STEM activity that you and your little one will enjoy in pretend play that sparks her imagination. The tools are durable non-hazardous rounded edges that are safe for gardening activities. The fully functional kid’s garden tools perfect for real gardening will teach her to grow her own food and vegetables. Why we like it: A great parent partner that helps you keep in touch with your little one across the house and great for outside activities. Why we like it: Playing board and card games help in number and shape recognition that will help her in eye-hand coordination, grouping, and counting. Teach your child patience, concentration, motor, listening skills and strengthen the relationship with your kid’s through her favorite card game. 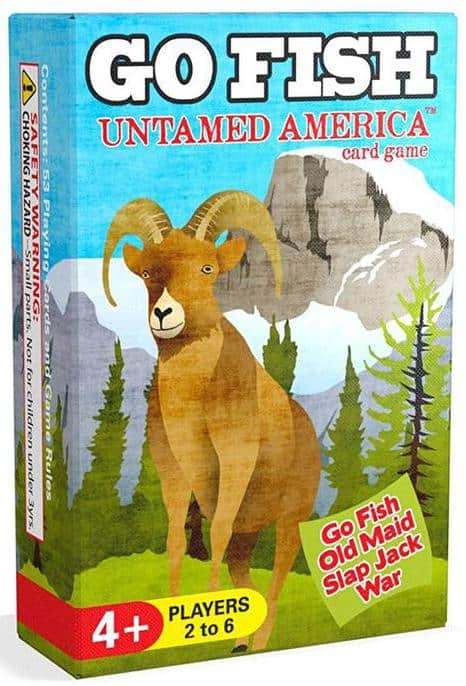 The game features 53 bridge-sized playing cards that introduce her to iconic North American animals with simple number recognition, a beautiful collection of outdoor learning toys and a great camping game. The cards have been designed with little hands in mind and can engage 2-4 players suitable for kids aged 4 years and above. The educational and kid-friendly board game includes a unique 4-in-1 single deck of cards design with Go fish, Old maid, War, and Slap Jack cards. Why we like it: No more mess on the floor, carpets, and clothes of the young artist. It’s an absolute value and reusable drawing water mat. Designed for complete safety with no ink spillage and no mess for the little one’s dress suitable for 1 month to 4-year-old children. Your child will spend hours drawing colorful images with the magic pen that’s featured in the doodle for limitless creativity. 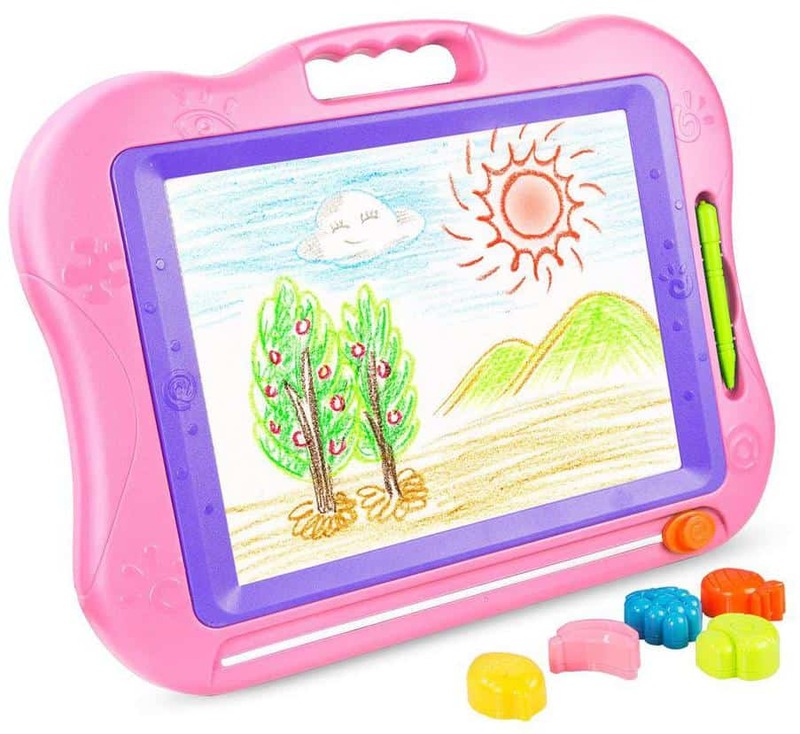 The product notably features four base colors on the drawing area turning her imagination into colorful creativity. Soaking the tip of the magical pen in the water for 5-10 minutes will give her hours of drawing and doodle. The water painting mat is available in super large sizes that can accommodate two extra kids to join in the fun for better bonding with siblings or friends. Why we like it: It trains the child to listen, sing, memorize and develops motor skills. 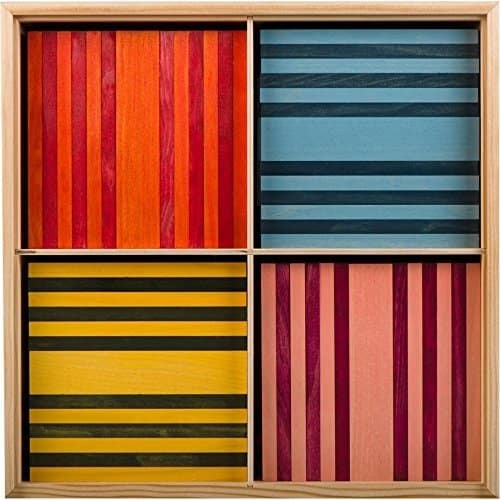 A lovely multifunctional and educational musical instrument for early musical cognition. Why we like it: This age-appropriate product with an excellent tip rollerball point is a great tool that will help her sketch, draw, and color. The principal benefit of arts and crafts for the young artist is the promotion of executive functioning and improve her coordination. 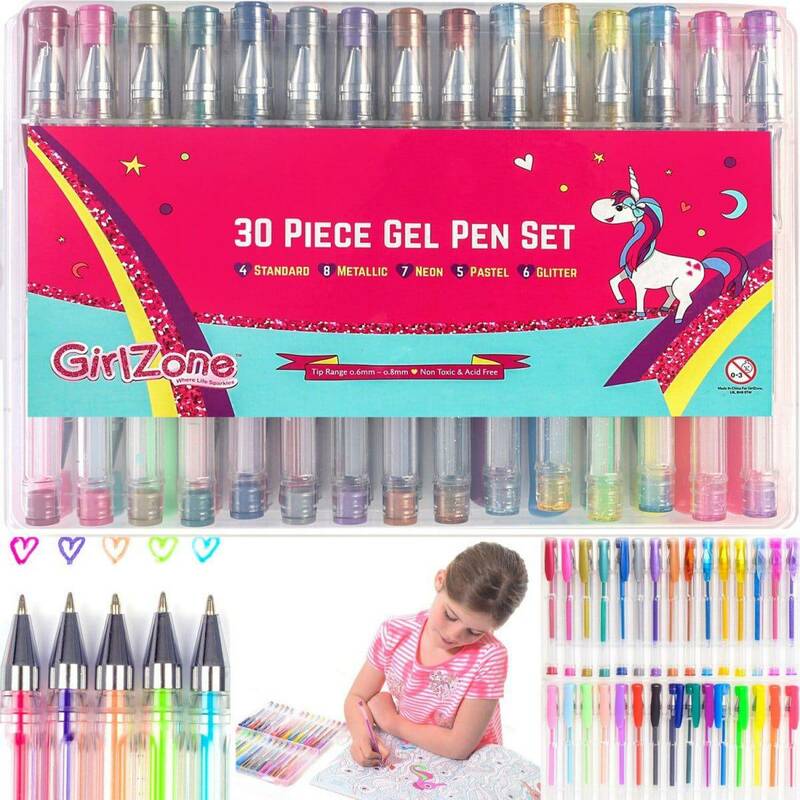 This 30 piece gel pen drawing set features fun, bright dazzling colors and from metallic, neon, pastels to glitters with the right size for small hands for smooth gliding on paper suitable for children aged 3 to 15 years. The gel pens are safe to use and don’t leak so you won’t have to worry about her being messed. The set also features a sturdy case for organized storage not to mention it’s colorful and funky. This comprehensive list consists expert reviews that offer a huge benefit to your little one. All the toys we’ve compiled here will have a positive developmental impact on your child while having fun and exploring the world.